Hey, hello, hi there.... Spread the English language around the world when you become a certified TESOL teacher with the Certificate IV in TESOL (Teaching English to Speakers of Other Languages) (10695NAT) from MCIE. As MCIE is an award-winning English language school you can be confident that'll you'll receive the right education and training you need to excel as an English teacher. You will learn all the elements of teaching conversational English, including pronunciation, grammar, speaking, listening, reading and writing. The course is delivered over 25 weeks and includes six hours of face-to-face and approximately eight-hours of self-paced study per week. As part of this course, students are required to complete 12 hours of practical work experience. Evidence of Australian citizenship or permanent residency is required. All participants require a Unique Student Identification (USI) number. If you do not have a USI number you can apply for one online at https://www.usi.gov.au/students or you can give MCIE's admin staff permission to apply on your behalf. Why Melbourne City Institute of Education? Discover a career that really makes a difference and achieve your education goals with help and guidance from the widely recognised, Melbourne City Institute of Education (MCIE). Their industry renowned training courses have earned them a host of awards and have seen countless students achieve success in community services, aged care and more. When you study with MCIE you’ll not only get the theory side down pat, but their state-of-the-art facility and custom designed training rooms will give you all the hands-on skills you need. 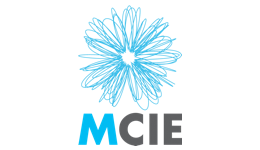 Discover the MCIE difference today! Upon successful completion of this course, you will receive a Certificate IV in TESOL (Teaching English to Speakers of Other Languages) (10695NAT) from MCIE. Wondering where a career in TESOL could take you? Potential job outcomes may include; English Language Teacher, ESL Teacher, ESL Tutor. The full fee for this course is $2,900, plus a $500 enrolment fee. Government funding and other funding assistance may be available to you. Enquire now to find out more! Fill out this form and a Study Consultant from Melbourne City Institute of Education	will get back to you.